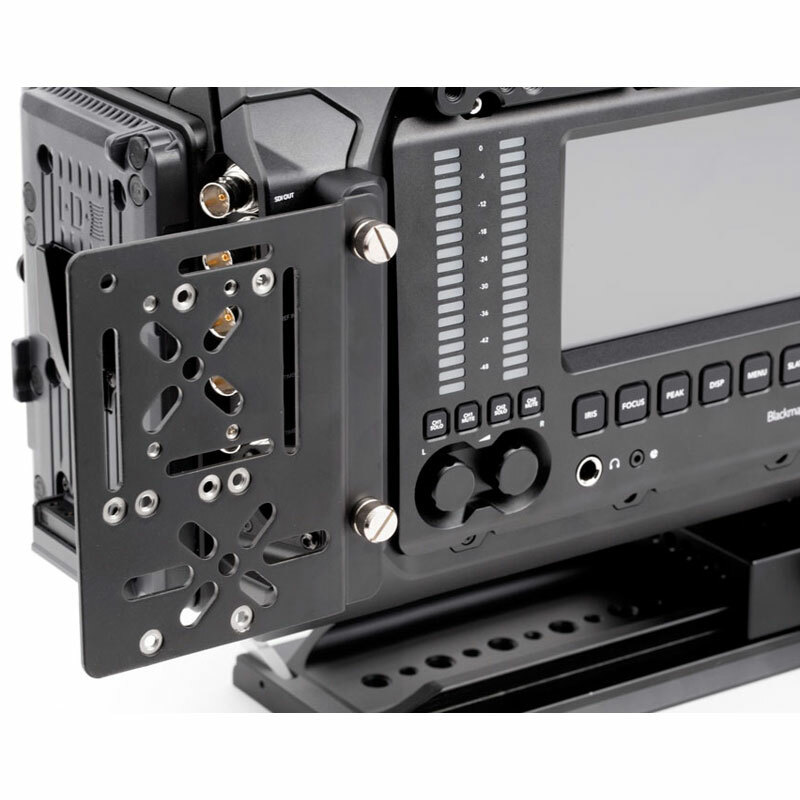 Rearward side mounting plate for Blackmagic URSA Camera. 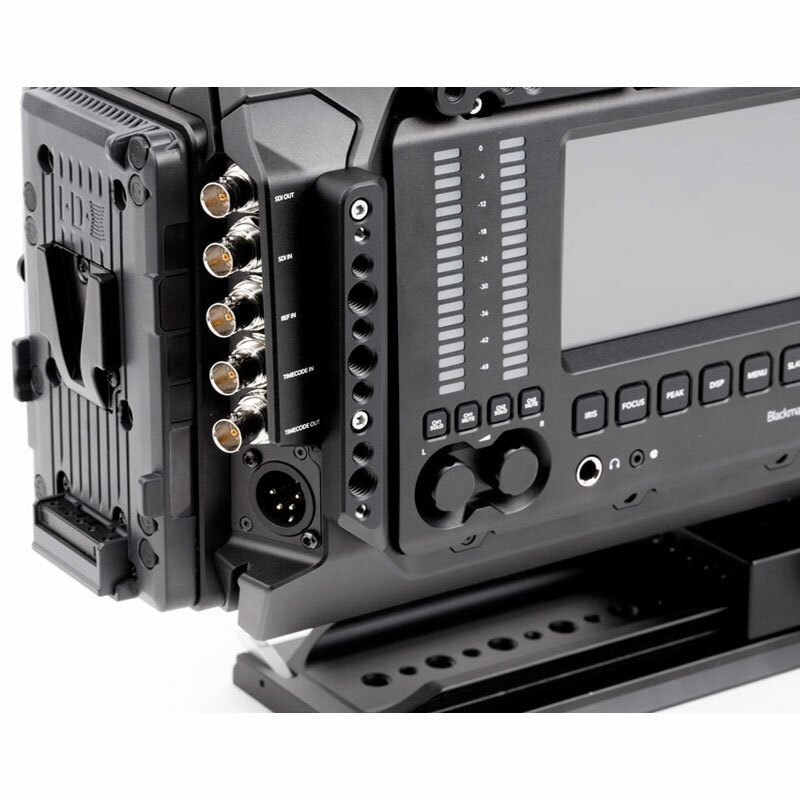 Attaches over HD-SDI identification plate to expand mounting surface for accessories and provide attachment points for Universal Wireless Side Plate which is used to attach wireless audio receivers, etc. 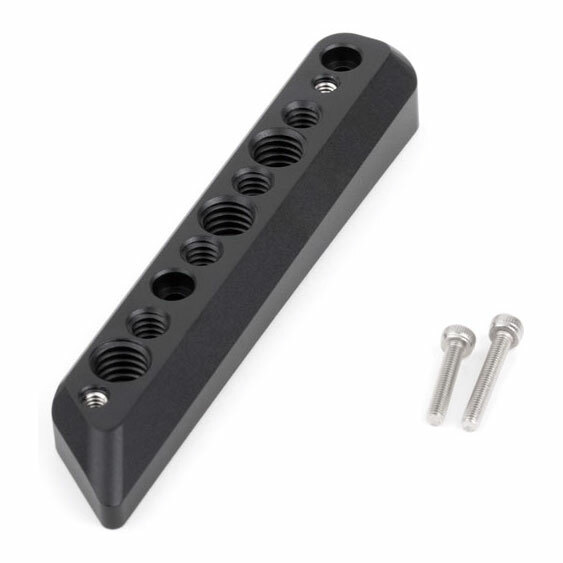 Array of 1/4-20 and 3/8-16 holes in standard spacing.